Oklahoma Connection | Whitten came to Oklahoma City University as administrative dean in 1958. Despite his busy schedule, Dolphus Whitten, Jr. found time to moderate “Candid Campus,” a television series on higher education in Oklahoma that aired in the 1970s on Oklahoma City, Tulsa, and Lawton stations. Arkansas native Dolphus Whitten, Jr. graduated from Ouachita College in Arkansas (1936) and from the University of Texas with an M.A. (1940) and Ph.D. (1961) in American history. Regarded as an authority on the drafting of the U.S. Constitution, he wrote a three-volume treatise on the federal convention of 1787. He entered the teaching profession at the age of 19 and served as high school teacher and principal, a college professor, and a university administrator. During World War II, Mr. Whitten was an administrative and educational officer in the Ninth Air Force in England and France. He joined Oklahoma City University in 1958 and became its president in 1970, giving leadership to a succession of innovations in higher education which attracted widespread attention. 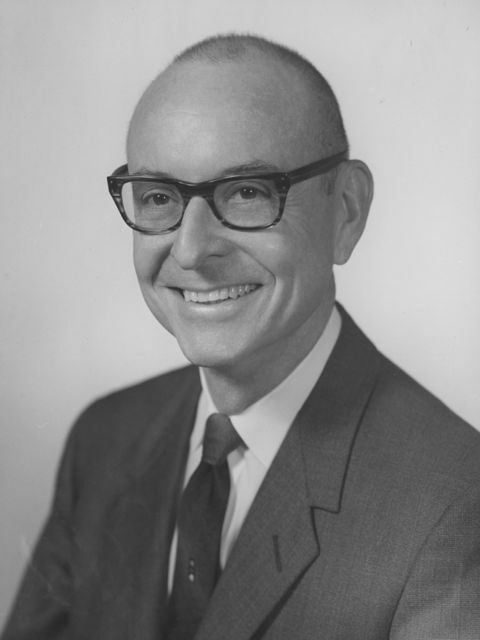 OCU’s “Great Plan of Academic Excellence,” launched in 1960 with the assistance of a consultative committee from MIT, has been called “a model for the country.” He was also active on all levels of the United Methodist Church and acted as an officer or board member with over 20 civic, professional, and cultural organizations.